3 Tips For Doing A Successful Bathroom Renovation - YoursTrulyHandmade.com - DIY, Home Rennovations and a lot of crafts! If you’ve been bitten by the home improvement bug, you’re likely to take a look at your own bathroom and think that it doesn’t quite measure up to the lovely water closets that you’ve seen on your favorite renovation show. But while you might think that the bathroom renovations that you see on TV make the whole project look very doable, remodeling and renovating in the bathroom can be one of the trickiest places. Because there’s so much to account for, both water lines and plumbing as well as electrical, there’s a lot that can go wrong with this type of renovation. So to help ensure that any work you put into your bathroom will give you a greater area than the one you started with, here are three tips for doing a successful bathroom renovation. Although you might have crafted some big plans for your bathroom renovation in your head, it’s best to keep certain areas of your bathroom just how they were to begin with. What this means is that rather doing redoing every part of your bathroom, Alyson McNutt English, a contributor to HGTV.com, advises that you at least keep your plumbing fixtures where they are. Not only will relocating your sink, tub, or toilet cost you much more money in your renovation budget, but you also open yourself up to bringing on additional problems with the rest of your remodel. So unless you’re very confident in your ability to do plumbing work or have hired on an experienced professional, don’t move your plumbing fixtures. 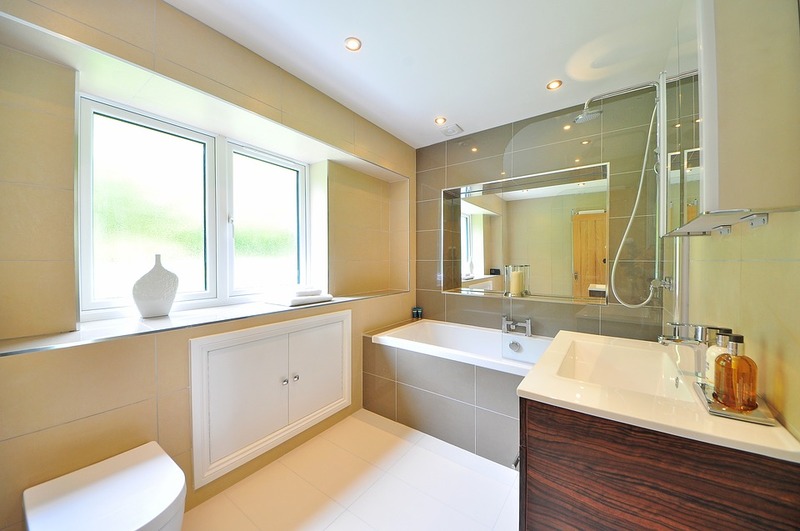 One of the biggest concerns for bathrooms, in general, is keeping the moisture under control. However, this is something that many people don’t think about as much as they should when undertaking their own bathroom renovations. So to help ensure that you don’t get water damage done to your newly finished bathroom, it’s crucial that you pick the right materials to work with, including your caulking. According to Josh Garskof, a contributor to This Old House, you should look for a caulking that’s acrylic or a hybrid formula so that it’s easier to remove if and when the time comes. Additionally, pick a caulking that has a mildewcide that will last for a few years so you don’t have to worry so much about hazardous mold growing. If you’re replacing your current toilet with something new, one thing you might want to consider is how you position this piece within your bathroom. According to Lee Wallender, a contributor to The Spruce, you should try to avoid having your toilet face the door so that you don’t accidentally create an awkward situation for yourself or others during future use. To help you create the bathroom of your dreams, consider using the tips mentioned above to help you have a successful remodel or renovation.